Most people with long hair think that they know all the hair washing techniques. After coming out from the bathroom, some women feel that they have given their hair a good treat. But it is surprising that after days of washing their hair, it still breaks apart. Often times, their hairs are full with dandruff. This proves that not every one knows simple hair washing techniques that I’ll be discussing shortly. Do you want to have a very long hair that shines radiantly? Do you want your hair to be clean always and free from dandruff that causes itchy scalp? Or you’re interested in making your hair stop breaking? Then this simple hair washing remedy is for you. 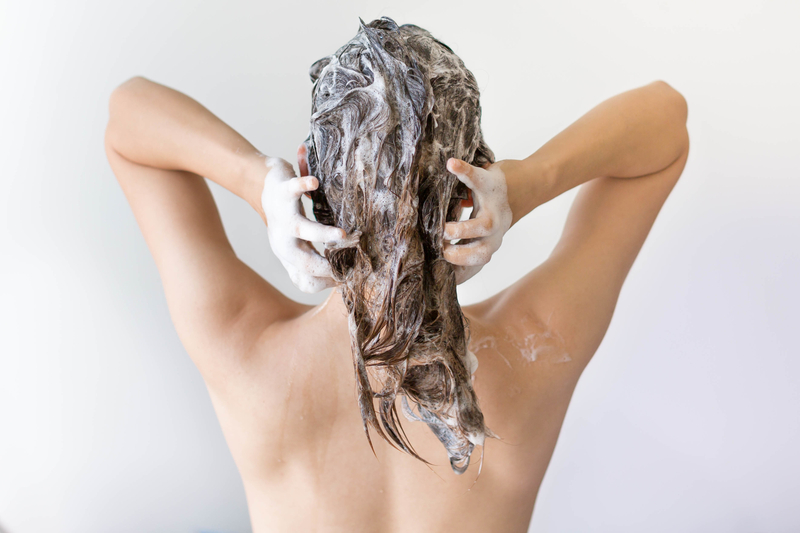 SIX SIMPLE STEPS TO WASH YOUR HAIR. Why: It is universally known that warm water helps to open the hair cuticle. The hair cuticle is the outermost part of the hair shaft. It is formed from dead cells, overlapping in layers, which form scales that gives the hair shaft strength and provide protection for it. Also warm water dissolves fats. So the warm water will remove oil away from the scalp How to: using a bowl, run down warm water continuously on your hair. Make sure that the water is not hot. Why: Long hair breaks easier than a shorter hair. When you apply a small amount of conditioner after rinsing your hair with warm water, it helps to protect the delicate ends of your long hair. Those ends are susceptible to hair breakage and hair damage. To stop them from more damage, apply a quality conditioner. How to: Pour a small amount of hair conditioner on your palm and massage gently into your hair. 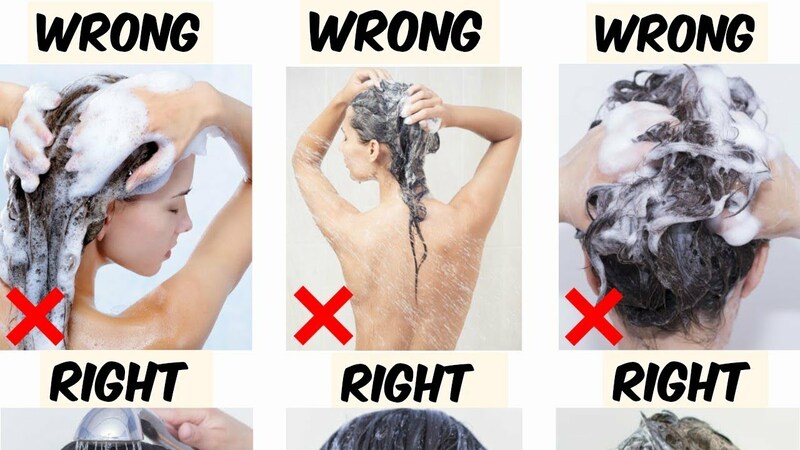 Rub the fragile ends of your hair properly and then rinse. Why: Your hair growth begins deep inside the scalp and downwards towards your neck. So it is only logical for the hair at the scalp to be more oily than the hair towards the neck. Using a shampoo on the hair of the scalp helps to reduce these oils. How to: Apply shampoo on your scalp and wash the inside properly. Move your hands from the root of the hair to a little distance towards the ends of the hairs. Avoid spending much time on the ends of the hairs since they are naturally dry and fragile. Why: Most women that complain of hair breakage while washing their hair do not know that it was because they were not gentle. If you wash your hair roughly and too fast, you might generate enough frictional force between your hands and your hair leading to hair damage. How to: Take your time and wash your hair gently. If you have a busy schedule, postpone washing of your hair to another day. #5. DO NOT RINSE AND REPEAT WASHING YOUR HAIR. Why: Most cosmetic companies want you to finish their products soon enough so that you can buy a new one and increase sales for them. Washing your hair twice can weaken the roots of the hair. 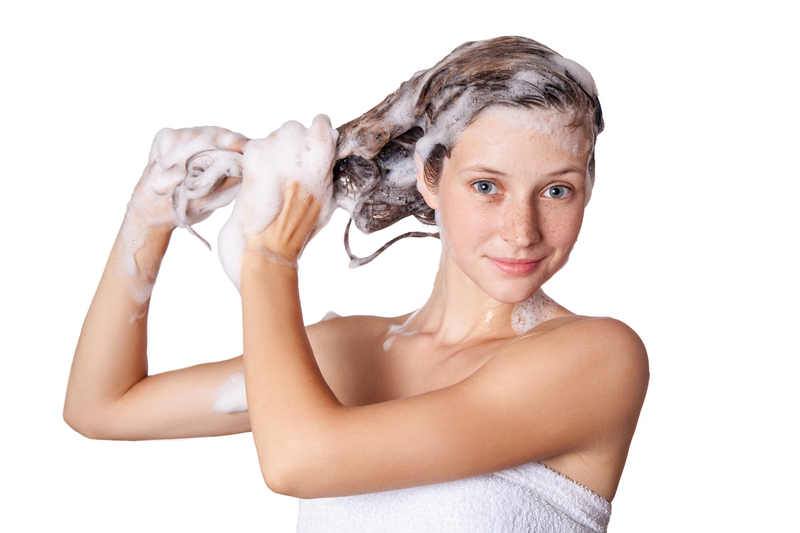 How to: While washing your hair, always remember that it is not necessary to repeat the hair wash over again. Then proceed to the final step. Why: After using warm water at the beginning of your hair wash, it is important that you close your hair cuticle afterwards. Cold water would close your hair cuticle. The moisture around your scalp would be trapped giving your hair a sheen and soft appearance. How: Run down cold water over your hair and allow to dry. We hope that you will find this simple hair washing techniques helpful.